Our New Jersey Senators were elected by the public to serve the public: now we’re calling on them to protect public healthcare. Our state’s most vulnerable depend on Trenton lawmakers to invest in public healthcare initiatives like fully funding University Hospital. Public healthcare investment protects all New Jerseyans who rely on public healthcare and protects HPAE members who provide public healthcare services. 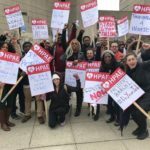 Take action to support public healthcare in New Jersey! 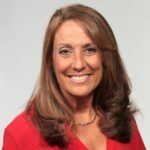 As nurses, we have an interest in the future of our health system and the impact this merger between Virtua and Lourdes will have on our community. The hearing was held at Willingboro’s Kennedy Center and featured testimony from more than a dozen residents and stakeholders on the proposal. A second hearing was also held in the afternoon in Camden. 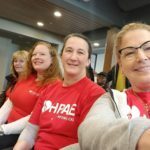 Contract talks began this week for the 1,300 Registered Nurses at Inspira Health hospitals as they negotiate for safe staffing levels at every hospital. 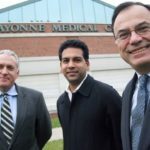 The State Commission of Investigation report released this week on the byzantine business structures behind three Hudson County hospitalsrevives that queasy feeling we get when linking the words “for profit’’ with traditionally public service organizations. 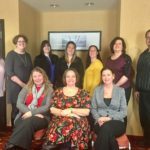 New Members Guide: "We Are Your HPAE"